Coldilocks celebrates her 37th birthday in December. Zoo officials announced Tuesday that she had to be euthanized following a “serious decline” in her health. A 37-year-old polar bear at the Philadelphia Zoo has been euthanized after struggling with medical issues, zoo officials announced Tuesday. Coldilocks, who was the oldest polar bear in the country, had experienced a "serious decline" in her health, including changes in her behavior and eating habits that concerned her caretakers, officials said. She was the zoo's only polar bear. “Making the decision to euthanize an animal is never easy, especially one as beloved as Coldilocks, but after observing her the past week and examining her on Monday morning under anesthesia, they reached a consensus that euthanasia was the most humane option,” the zoo said in a statement. Coldilocks was born at Seneca Zoo in Rochester, N.Y., on Dec. 13, 1980, and was brought to the Philadelphia Zoo in 1981. She "well surpassed" the average life span of a polar bear by more than two decades, according to the zoo. 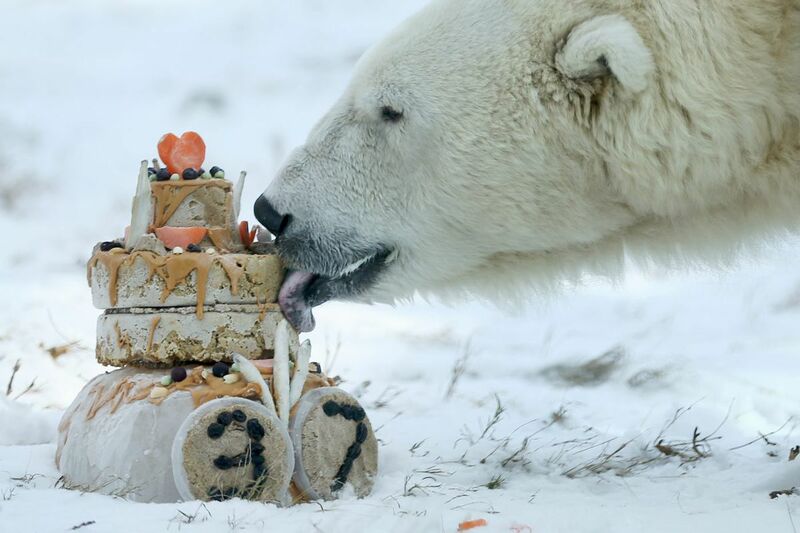 The Philadelphia Zoo celebrated Coldilocks' 37th birthday in December with a frozen treat made of peanut butter, fish, carrots, raisins, and bear chow. The zoo is making a contribution to Polar Bears International, a polar bear conservation organization, on behalf of Coldilocks. Officials are encouraging others to do the same. "Unless we reduce the carbon emissions that are causing the planet to warm, we could lose wild bears by the end of the century," Krista Wright, the organization's executive director, said in a statement. "We offer our condolences to the zoo staff and Coldilocks' many fans." In the wild, polar bears live an average of 15 to 18 years, while some "long-lived bears" in captivity can reach their mid- to late 30s, according to the group. The zoo was forced to euthanize Ben, a 23-year-old Asian black bear, after he struggled with a malignant form of skin cancer in November.